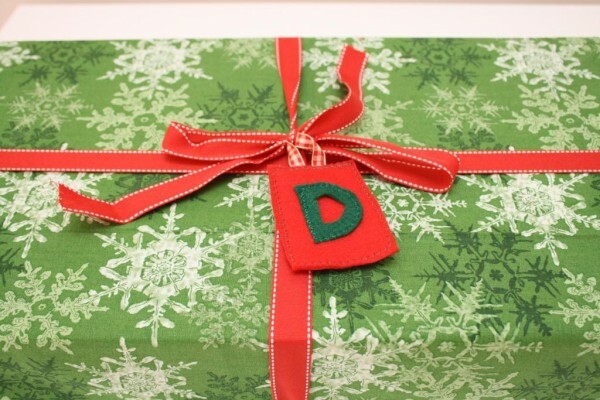 So building on from my fabric wrapped presents (follow up tips here)- i hit one tiny snag last year. I found it really hard to keep track of whose package was whose! 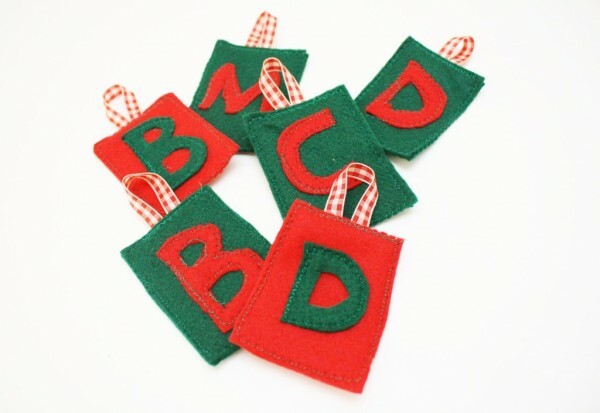 I tried to make salt dough gift tags with Bunny, but they were a total disaster, and in the end i ran out of time and had to resort to post it notes under the presents. ick. 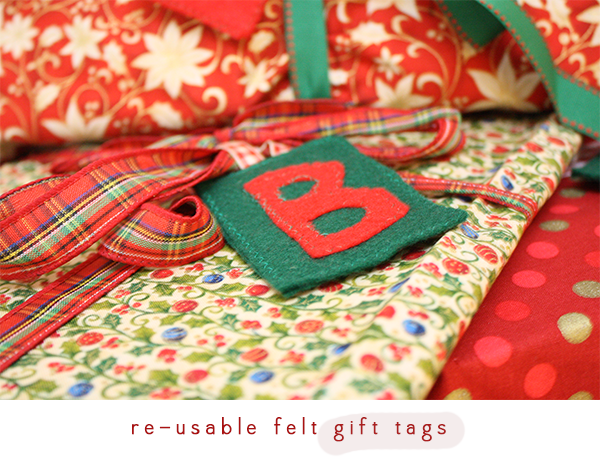 This year i wanted to fix that, and make my present experience completely reusable – so i made reusable felt gift tags! I did this the quickest and easiest way i could think of since i’m incredibly time poor (so some of these are a bit, er, sloppy) – but this concept would work equally well in different fabrics. 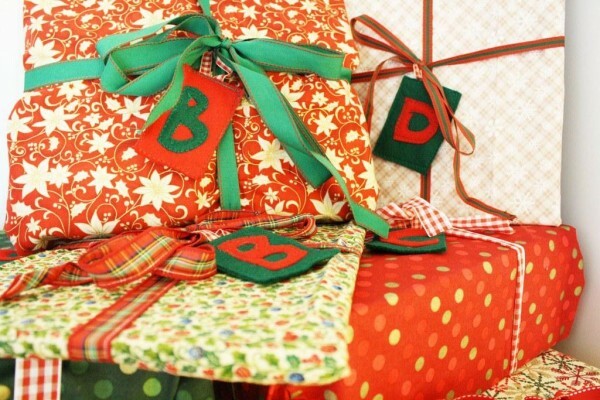 I love the idea of doing this with your fabric scraps or something. Here’s how i made mine! You’ll need some felt and ribbon. 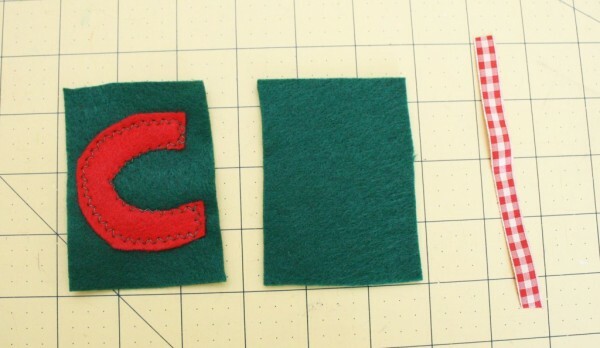 I cut two pieces of felt in a rectangles about 2.5″ by 3.5″. 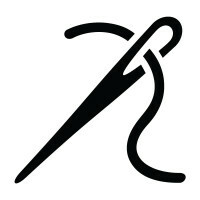 The ribbon was about 4.5″. 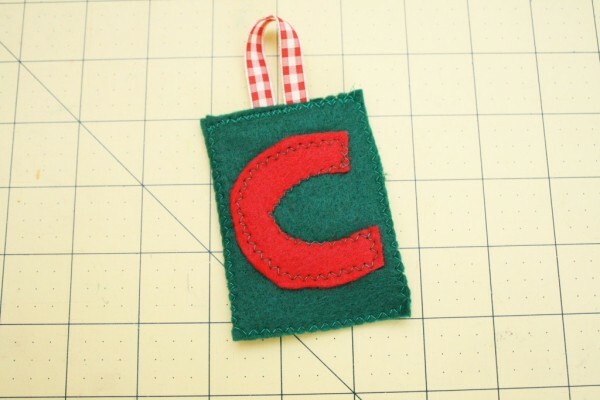 And i also cut the first letter of the persons name in a contrasting felt. 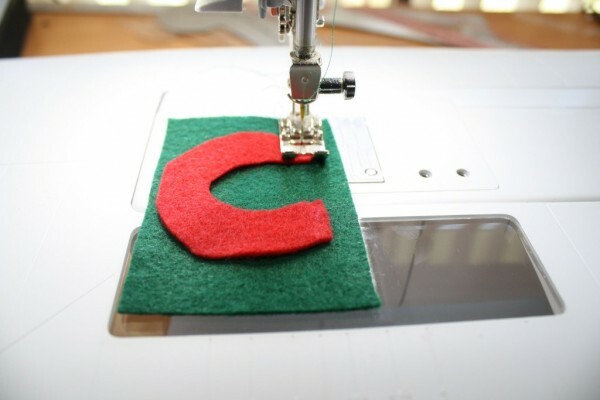 Now make the ribbon into a loop and sandwhich the cut edges in between the two pieces of felt. Top stitch around the edge – again i used a zig zag stitch. Since i’m using this in conjunction with my fabric wrapped christmas presents, i threaded the ribbon tying that was around the present through the loop, and then tied the final bow. That way everything is joined, but nothing is permanent, and can be used again and again and again! Yay success! 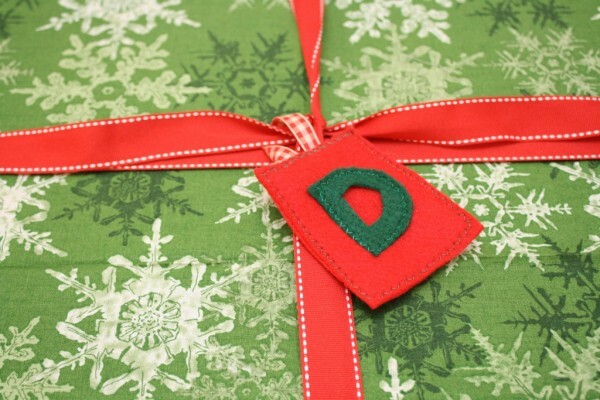 What a great idea,having grown up in a house where we saved wrapping paper fro wrap presents year to year I have been trying to find a way to use fabric to wrap presents. This is so cute, too!